When will we attend our first meeting? We encourage new scouts to start attending meetings prior to cross-over so they get a chance to meet us and make sure we are a good fit. We meet most Sundays at 4:00 to 5:30 at Northminster Presbyterian Church on Portage Trail. Scouts who cross over from Webelos are placed in a New Scout Patrol which elects their own Patrol Leader and is mentored and coached by the Troop Guides and the Assistant Scout Master. The Troop Guides are older scouts who show the New Scout Patrol the ropes, literally and figuratively. When will I need to pay and how much? The annual dues for Troop 155 are $100. This fee covers registration, Boy’s Life magazine, scout advancement patches, equipment maintenance costs, adult registration fees and most incedentals for troop meetings. The Troop does a lot of fundraising including selling Popcorn in the fall, candy bars in the spring, chili-cook offs, pasta dinners, etc. We are always looking for new fundraising ideas to help supplement your scouts costs. What if any equipment or supplies do I need to purchase for my new scout? The scout items can be purchased from the Scout Shop in Akron at 1601 S Main St, Akron OH 44309, online at Scoutstuff.org, or at Kamper City, 5549 Akron Cleveland Rd, Peninsula, OH 44264. The folks at the local stores know what most of the boys need to get started. We’ll present your scout with his neckerchief and slide, shoulder loops and troop number patch and Boy Scout Handbook as part of his crossover. The troop pays for these for new scouts. Will our scout need to meet with anyone before his first meeting, like the Scout Master? There is no requirement to meet with anyone before coming to a meeting. If you give us a heads up that you are starting we’ll know to expect your scout and make him feel welcome. Do parents need to stay at scout meetings, or can we leave? While a parent always has an option to leave their child at the start of the meeting, and then return before the meeting ends, we welcome parents to stay. There are many times where the youth leaders need assistance and a willing parent is very useful. Attendance at meetings is especially important during the first few weeks after crossover. Your boy will be getting to know the other boys and parents are also getting to know each other. Our troop is a boy led troop, so parents do not actively participate in meetings. Our Scoutmaster and ASM’s will be with the boys answering questions and keeping them on task. What as a parent am I required to do for the troop? Once the boys have come over we usually schedule a mandatory parents meeting, after the Cross-over in Spring. This meeting covers volunteer opportunities for scout parents. Prior to that meeting, think about what you may be interested in doing, or if you have a special interest or skill you would like to share with the troop. We have small single event opportunities, year round opportunities, and some of our parents become Assistant Scout Masters and help with the boys during the meetings and on outings. Let us know what you think and we’ll find something for you. All families are required to help in some way so that we can support our boys with a quality program. It is usually a process to find the right fit for each family, and some families team up and work together, so no worries. Since we are a large troop, we have many opportunities! Does my scout need to attend all of the meetings? This year will require a huge adjustment for your scout. Many of our scouts are active in other activities like Orchestra & Band, Sports, Destination: Imagination, etc. and oh yeah, school work! There will be plenty of opportunities for outings, activities, rank advancements and merit badges. Do not feel that you have to do them all. The better your scouts attendance at meetings, the more connected he will feel with the troop, but we realize you can’t make every meeting and every activity. We will discuss this more in depth at our parent meeting. Just remember, every boy is different, so they need to grow at their own pace. Is there anything we can do to help our scout prepare for his first meetings? Yes, we’re glad you asked! Be sure he knows his Scout Law, Scout Oath, and Outdoor Code. He will be asked these at meetings. How do I stay connected to all the meetings, activities and events the troop offers? 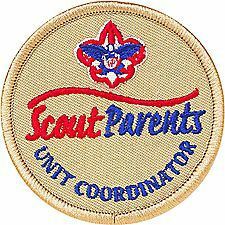 The troop keeps a distribution list that is managed by our a member of our Troop Committee. We email on a regular basis to keep you up to date on everything that is up-coming. Make sure to sign-up at your first meeting, ask any leader. We also on Facebook and Twitter. If you LIKE our Facebook page, you will get feed in your timeline when new posts are made to this website. Do new scouts attend summer camp? Yes, plan your vacation around summer camp so all scouts can attend. We start on Father’s Day every year and go from that Sunday to Saturday. You do need a full medical form filled out, which you can download from this site, under FILES on the right side. How do I know where my scout is with advancement? to get instruction on how to view your scout’s advancement record.